Definition at line 26 of file qwt3dPlot.h. Definition at line 35 of file qwt3dPlot.cpp. References CQBarChart::Data::maxValue, mColorLegend, mData, CQBarChart::Data::minValue, and mTitle. Definition at line 60 of file qwt3dPlot.cpp. Definition at line 519 of file qwt3dPlot.cpp. References hotKeysMessage(), mColorLegend, saveDataToFile(), and showLegend(). Definition at line 502 of file qwt3dPlot.cpp. References data, mTitle, plotData(), setData(), and setScale(). Definition at line 435 of file qwt3dPlot.cpp. 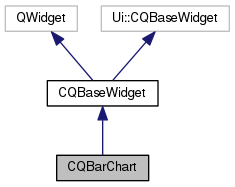 References CQBarChart::Data::columns, mData, and CQBaseWidget::mSliderActive. Definition at line 449 of file qwt3dPlot.cpp. References mData, CQBaseWidget::mSliderActive, and CQBarChart::Data::rows. Definition at line 605 of file qwt3dPlot.cpp. 608 "You can perform shifts, turns, scales and zooms. \n \n"
609 "Try Ctrl, Shift, Alt in combination with your wheel and left mouse \n"
610 "button to get a clue (or use instead your cursor keys).\n"
Definition at line 84 of file qwt3dPlot.cpp. References CQBarChart::Data::faktor, mColorLegend, mData, mpBar, resizeCoordSys(), setAxes(), setLegend(), setPlotTitle(), and setZoom(). Referenced by emptyPlot(), and setData(). Definition at line 396 of file qwt3dPlot.cpp. Definition at line 539 of file qwt3dPlot.cpp. References C_INT32, checkSelection(), CQMessageBox::critical(), FROM_UTF8, CopasiFileDialog::getSaveFileName(), and TO_UTF8. Definition at line 105 of file qwt3dPlot.cpp. References CQBarChart::Data::columns, getColSliderPos(), getRowSliderPos(), CQBarChart::Data::maxItems, CQBarChart::Data::maxValue, mData, CQBarChart::Data::minValue, mpColumnScale, mpRowScale, CQBarChart::Data::rows, and CQBarChart::Data::valueZone. The standard (1:1) mapping class for axis numbering. Definition at line 299 of file qwt3dPlot.cpp. References max, CQBarChart::Data::maxValue, mData, min, CQBarChart::Data::minValue, and BarColor::setColorVector(). Definition at line 325 of file qwt3dPlot.cpp. References CQBarChart::Data::columnAxeLength, CQBarChart::Data::columns, CQBarChart::Data::faktor, CQBarChart::Data::maxItems, mData, plotData(), CQBarChart::Data::rowAxeLength, CQBarChart::Data::rows, setSlider(), and CQBarChart::Data::valueZone. This method sets the user specified descriptions for the rows and columns. All axes in bar graph will be marked with this description labels automatically. Definition at line 616 of file qwt3dPlot.cpp. Definition at line 258 of file qwt3dPlot.cpp. Definition at line 278 of file qwt3dPlot.cpp. If necessary set the title in the middle over the bar graph. Definition at line 626 of file qwt3dPlot.cpp. Definition at line 290 of file qwt3dPlot.cpp. Referenced by emptyPlot(), and setDescriptions(). Definition at line 369 of file qwt3dPlot.cpp. References CQBarChart::Data::columns, mData, CQBaseWidget::mSliderActive, CQBarChart::Data::rows, sliderMoved(), and CQBarChart::Data::valueZone. Definition at line 66 of file qwt3dPlot.cpp. Option to show or to hide the color legend. Definition at line 621 of file qwt3dPlot.cpp. Definition at line 591 of file qwt3dPlot.cpp. Definition at line 463 of file qwt3dPlot.cpp. References CQBarChart::Data::columnAxeLength, CQBarChart::Data::columns, CQBarChart::Data::faktor, mData, mpBar, mpColumnScale, mpRowScale, CQBaseWidget::mSliderActive, CQBarChart::Data::rowAxeLength, and CQBarChart::Data::rows. Definition at line 51 of file qwt3dPlot.h. Definition at line 54 of file qwt3dPlot.h. Referenced by contextMenuEvent(), CQBarChart(), plotData(), showColorLegend(), and showLegend(). Definition at line 45 of file qwt3dPlot.h. Referenced by CQBarChart(), getColSliderPos(), getRowSliderPos(), plotData(), setAxes(), setColors(), setData(), setSlider(), setZoom(), and sliderMoved(). Definition at line 49 of file qwt3dPlot.h. Referenced by plotData(), and sliderMoved(). Definition at line 52 of file qwt3dPlot.h. Referenced by setAxes(), setScale(), and sliderMoved(). Definition at line 53 of file qwt3dPlot.h. Definition at line 50 of file qwt3dPlot.h. Referenced by CQBarChart(), emptyPlot(), and setPlotTitle().